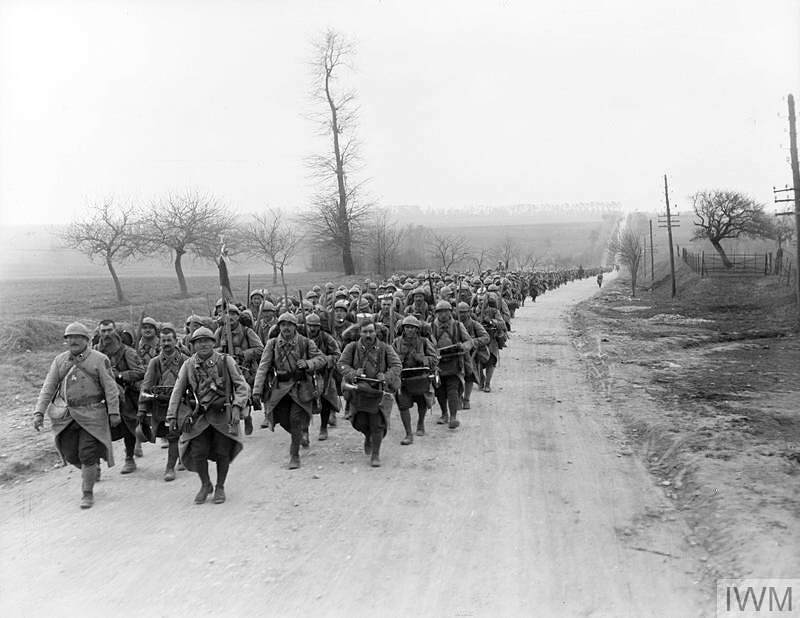 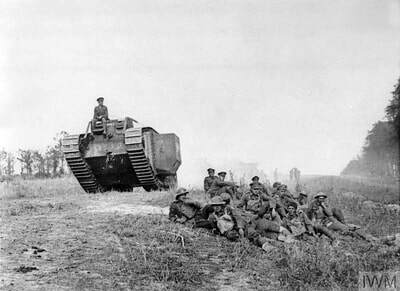 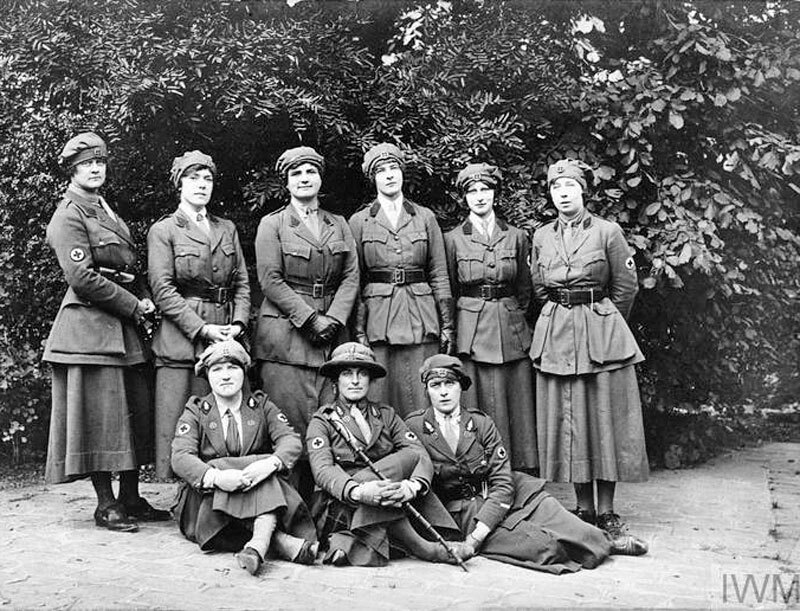 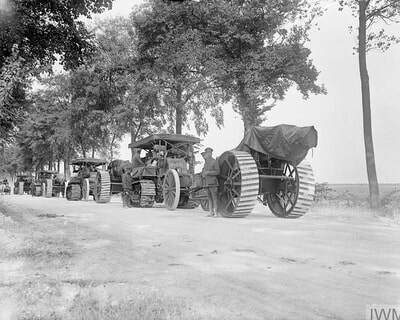 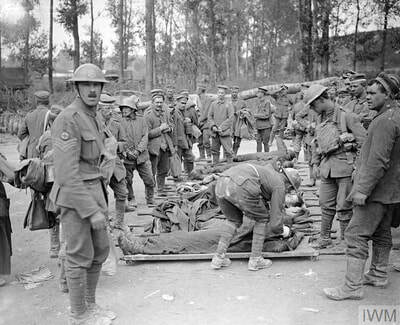 ​On 31 August 1914 the Germans swept their way into Amiens, and continued on toward Paris. 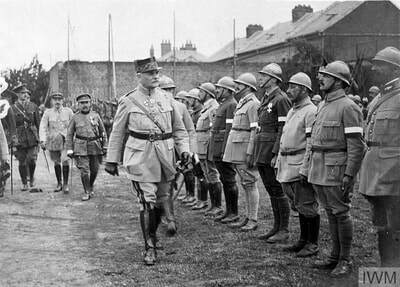 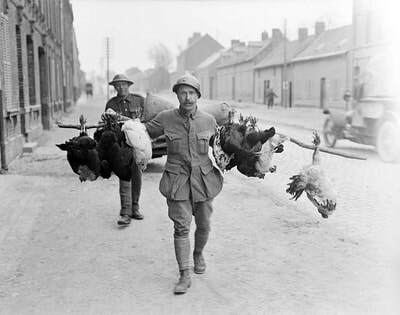 However, following their defeat on the Marne, the Kaiser`s men withdrew and the following month the French Army, under General Amade, returned. 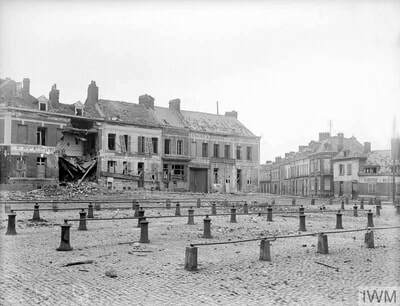 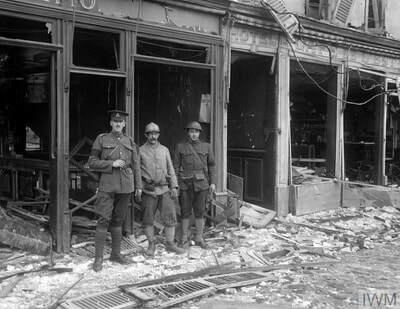 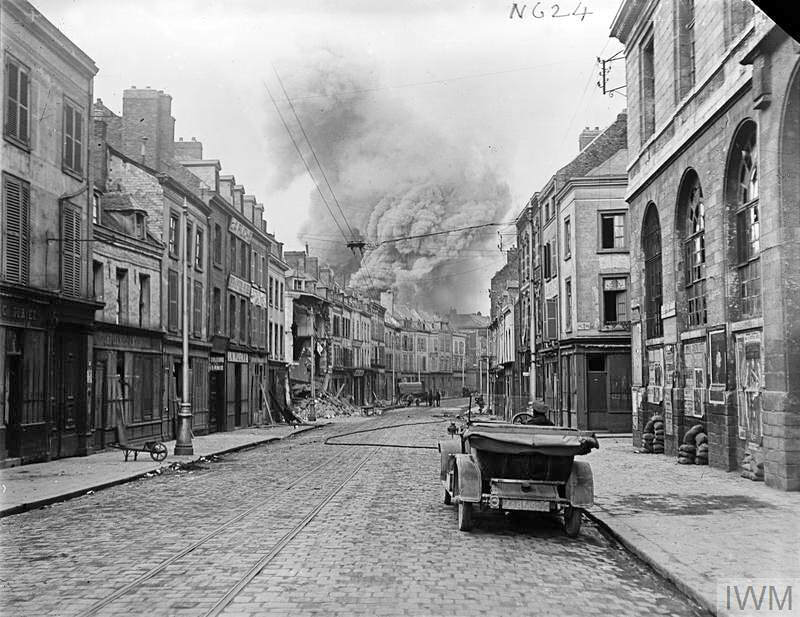 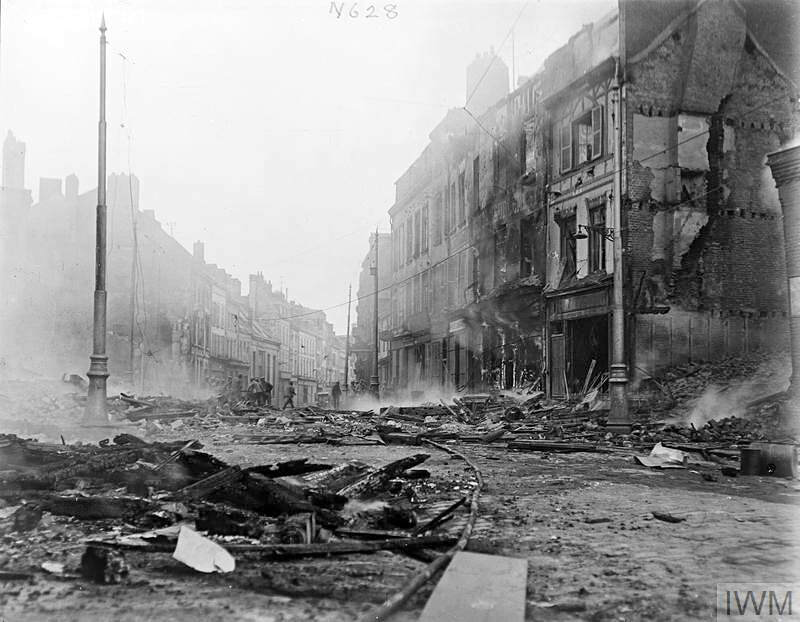 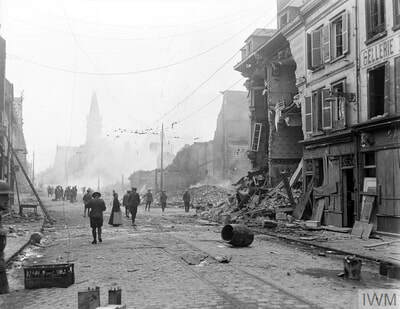 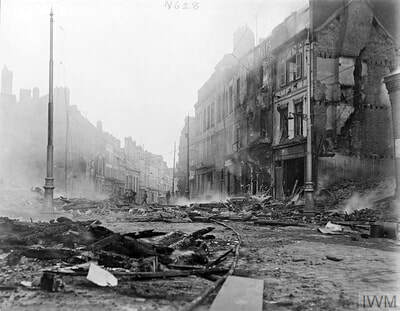 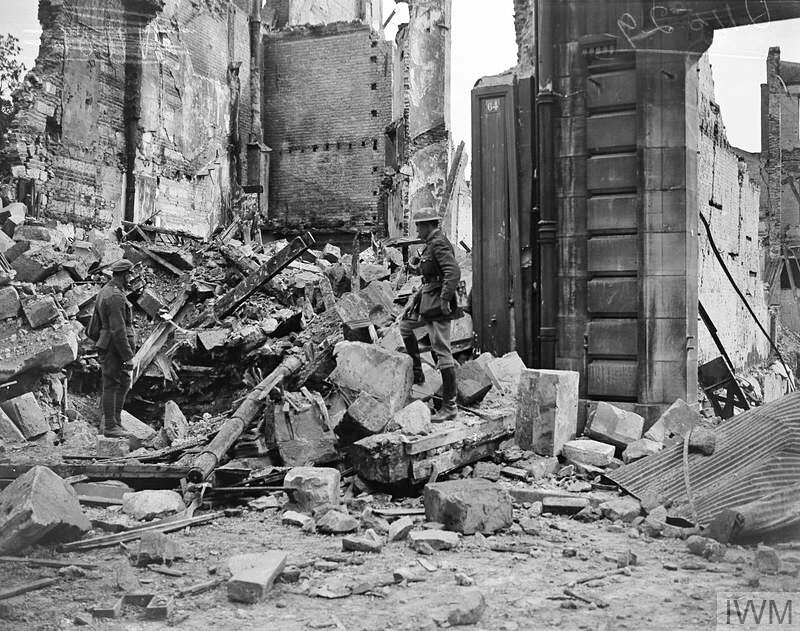 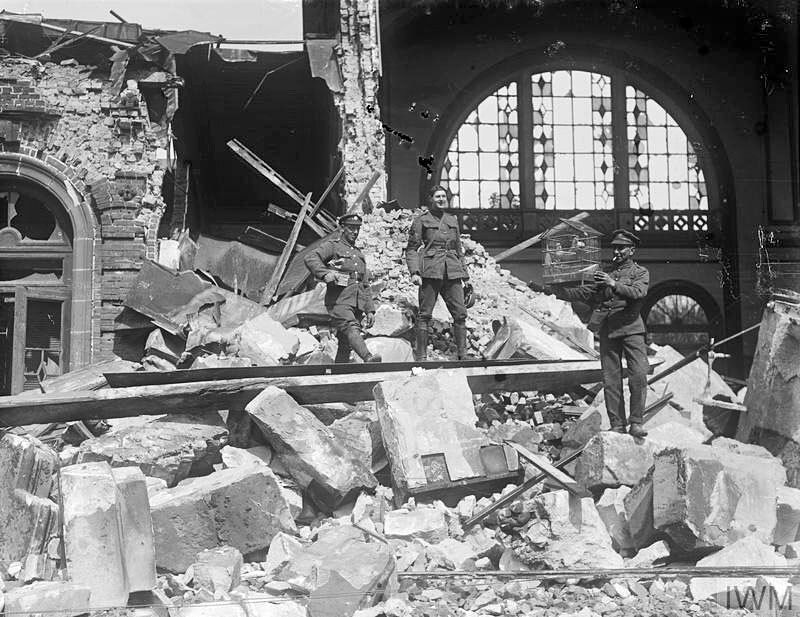 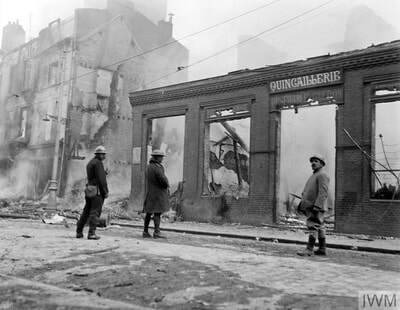 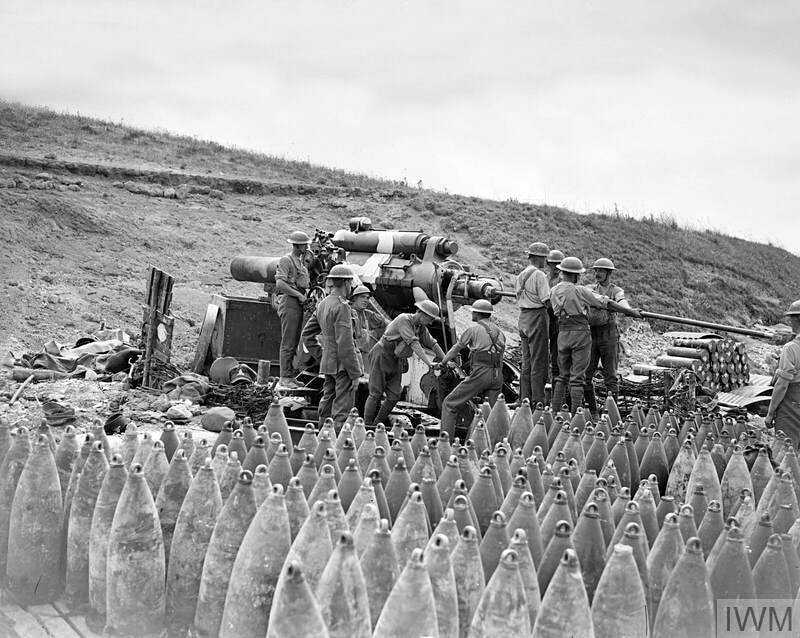 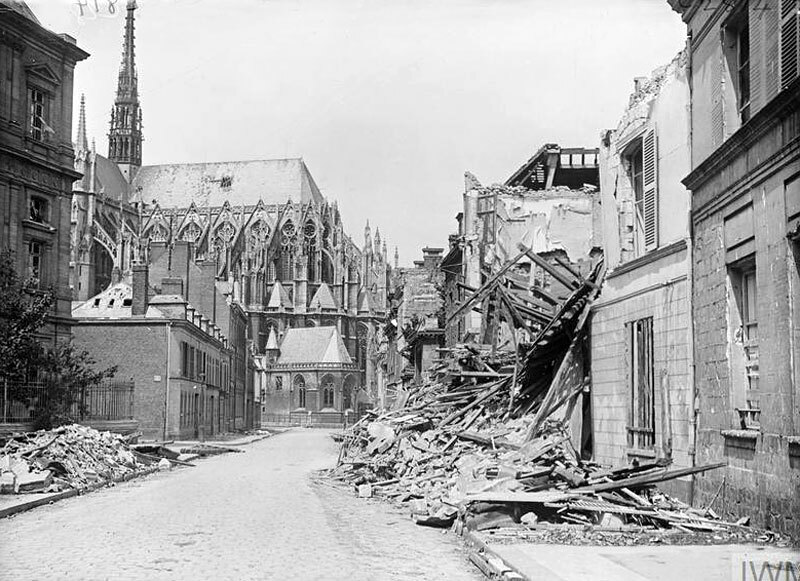 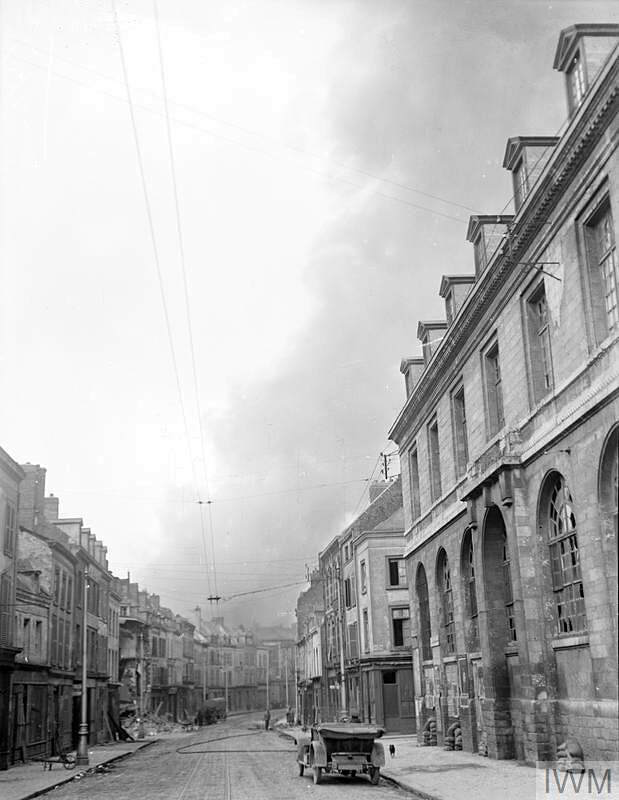 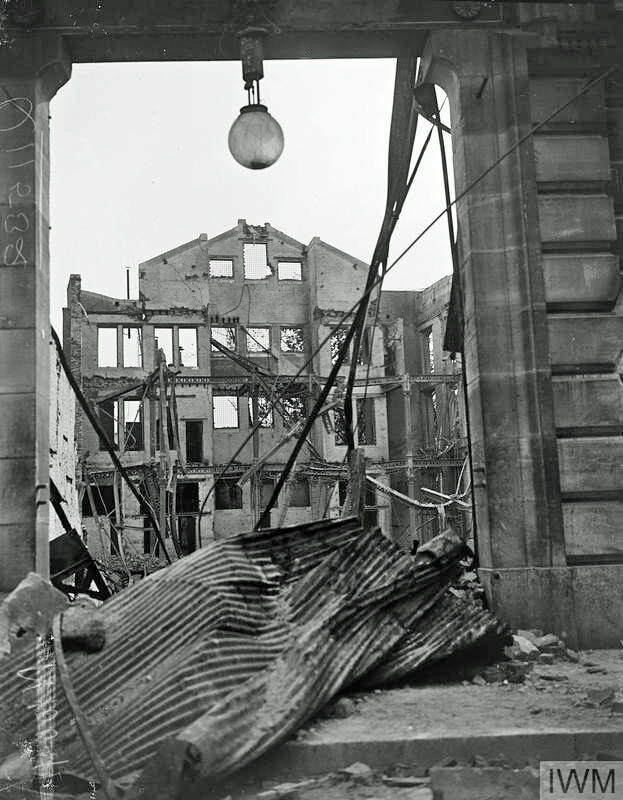 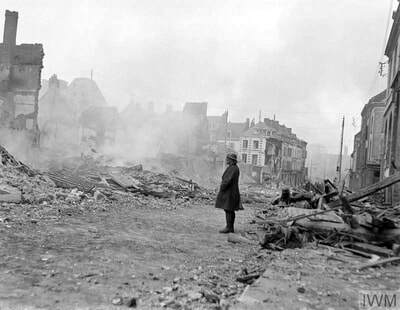 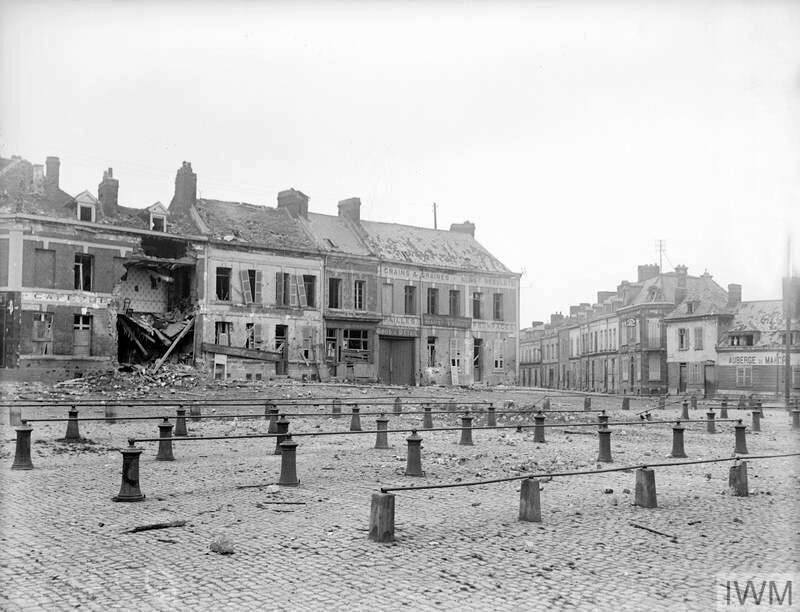 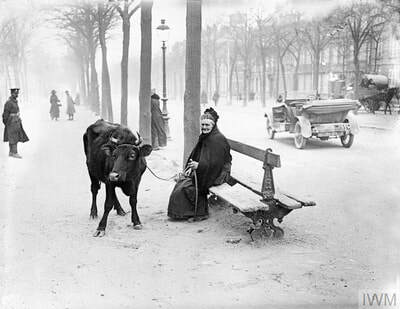 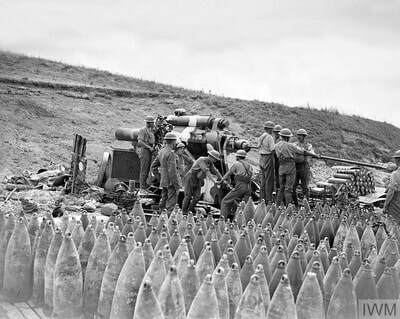 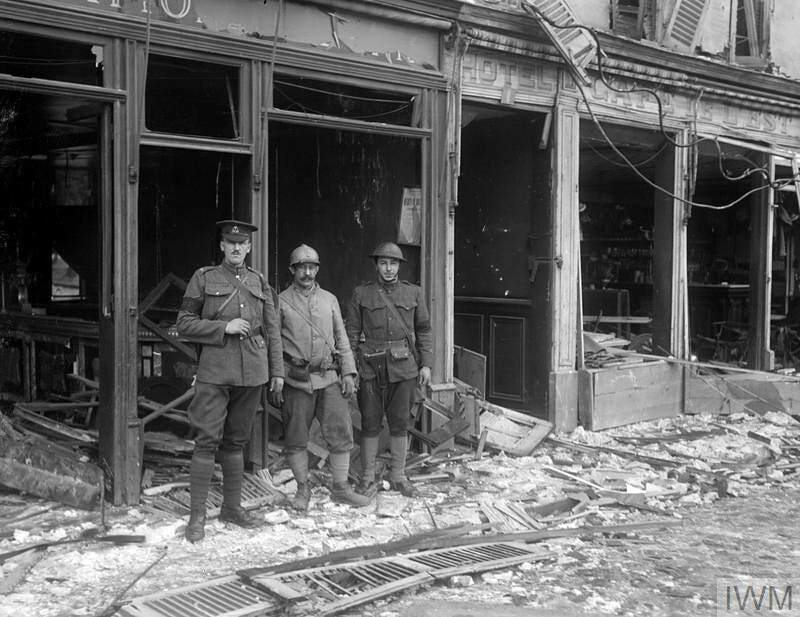 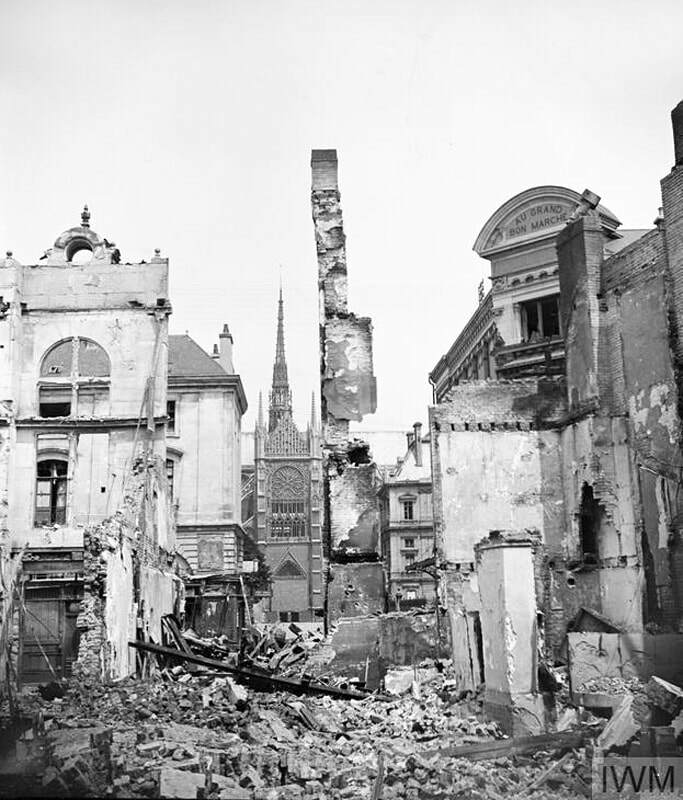 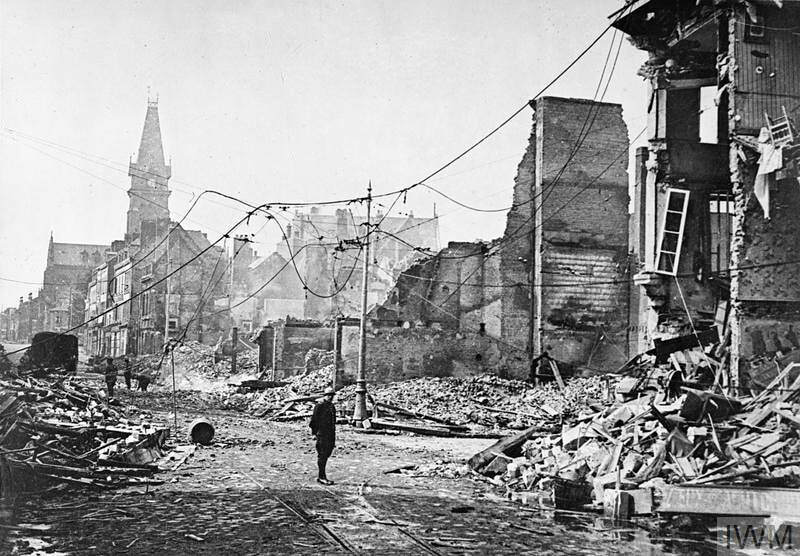 Although the city was periodically bombed during the years that followed, it was not until the German offensive of 1918 that Amiens came under major attack. 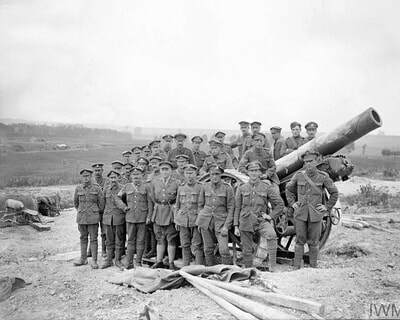 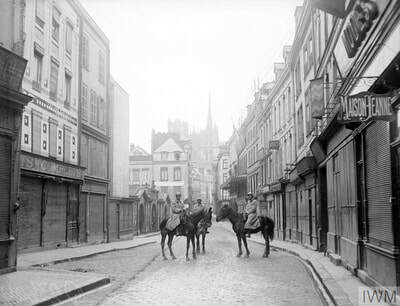 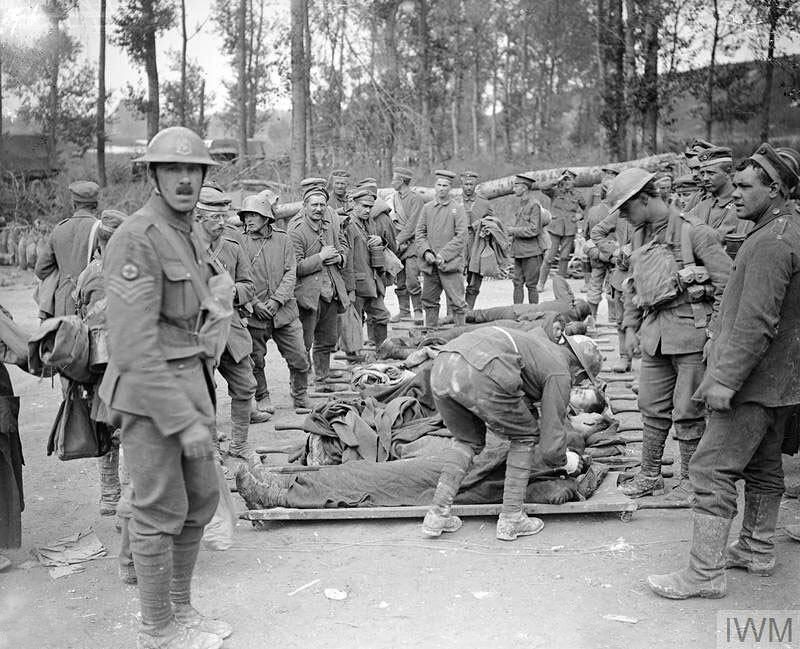 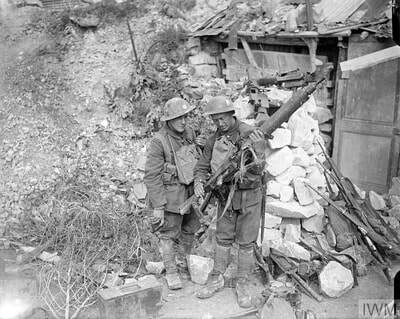 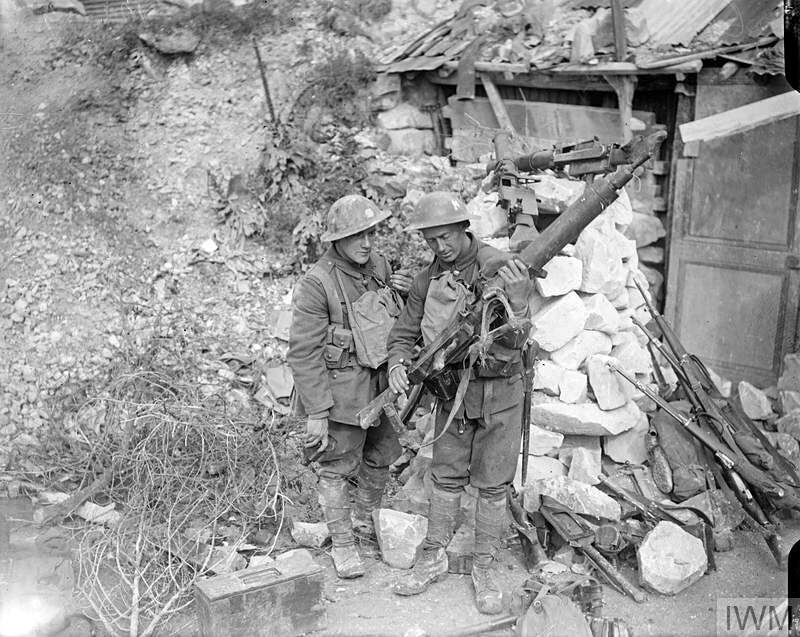 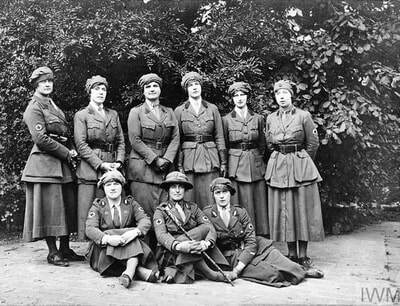 The above gallery features photos taken in the city during the Great War while the one below is of images of troops, mainly during the the Battle of Amiens. 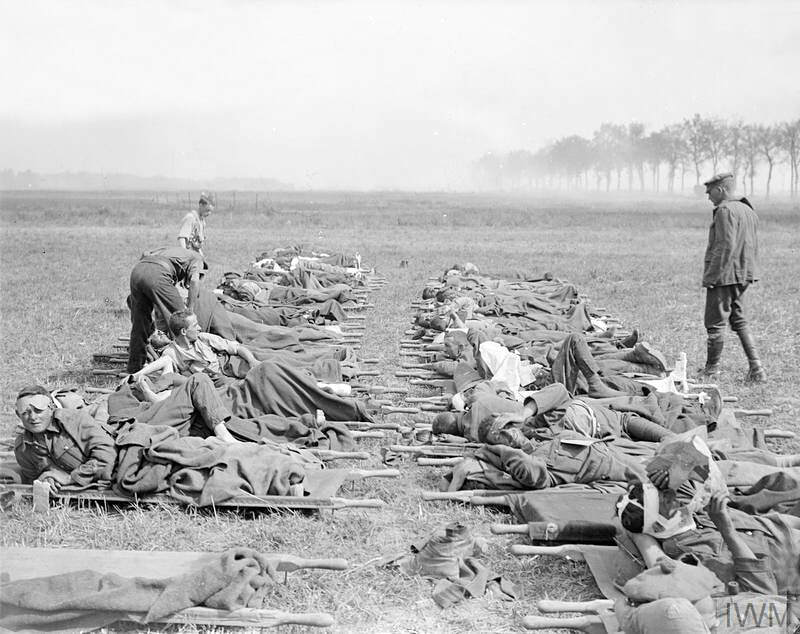 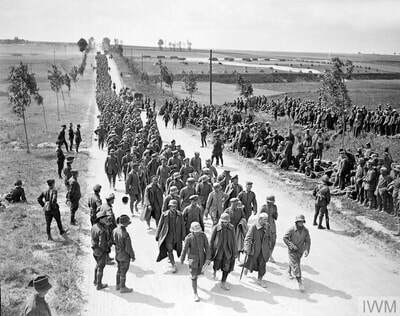 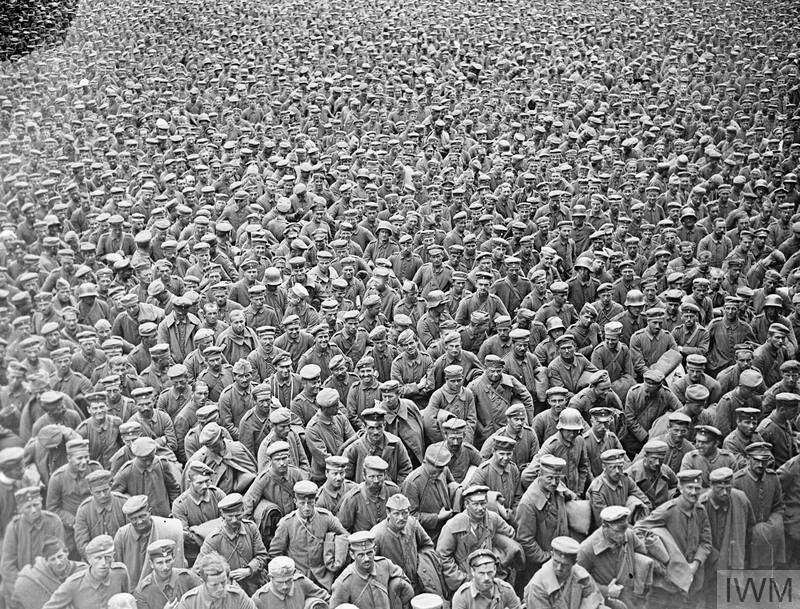 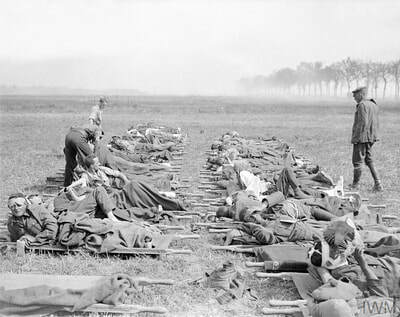 Some of the thousands of German prisoners taken by the British Fourth Army in the Battle of Amiens. 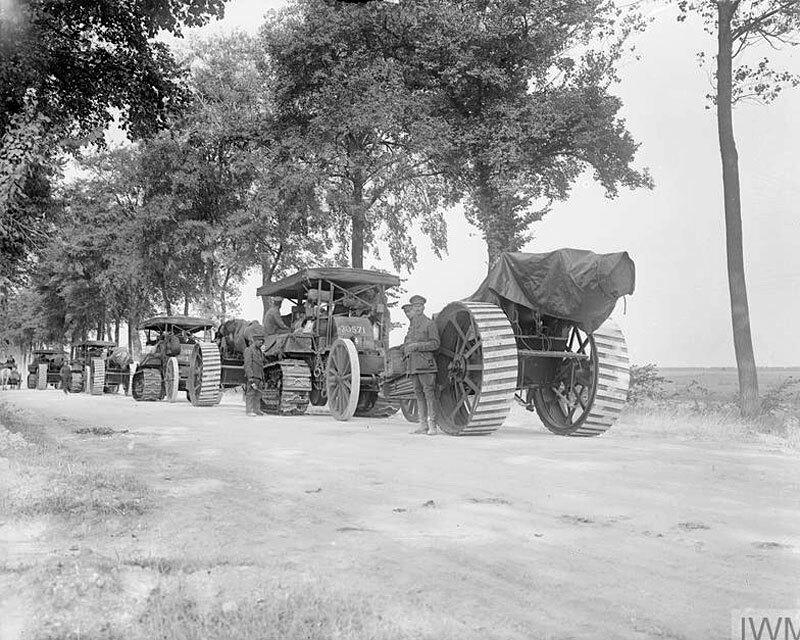 27 August 1918. Lieutenant J. B. McDowell, British official cameraman, filming the town of Amiens, 7 April 1918. 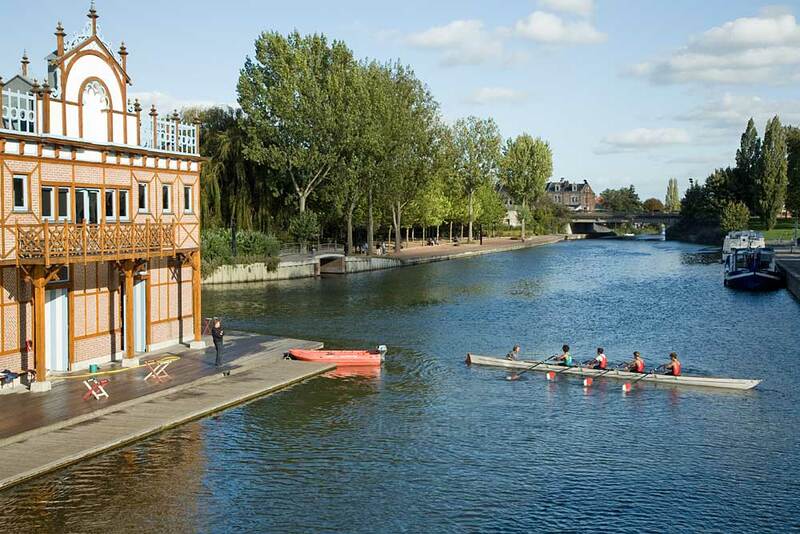 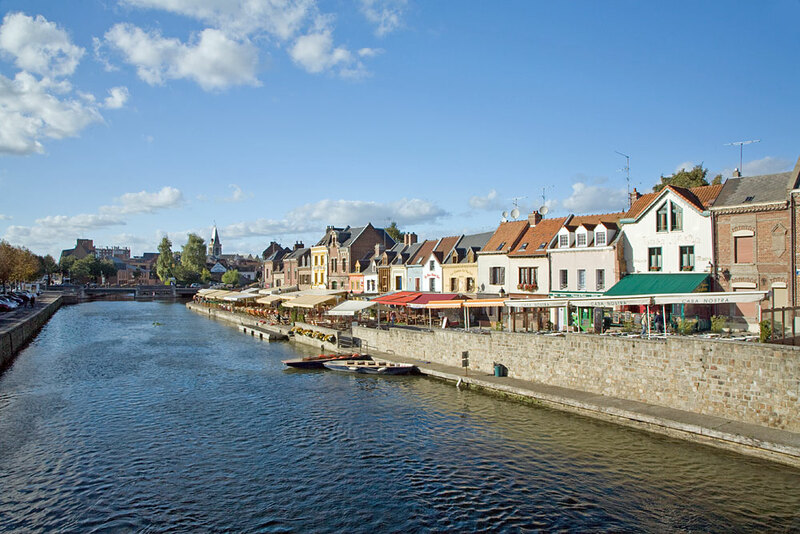 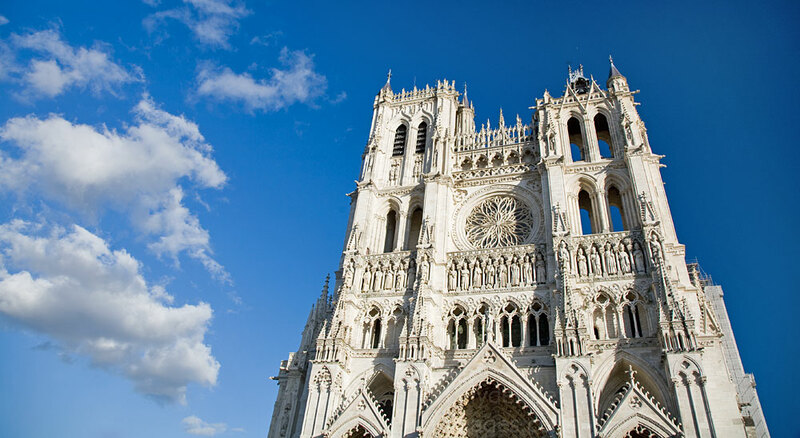 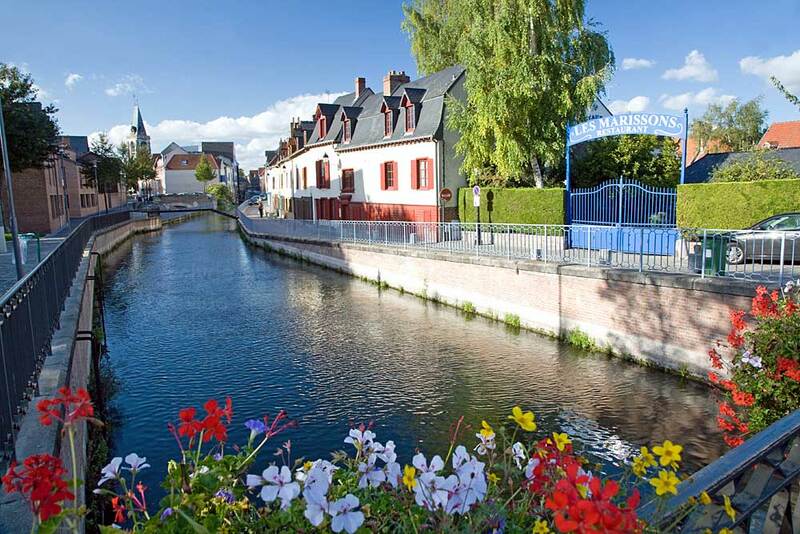 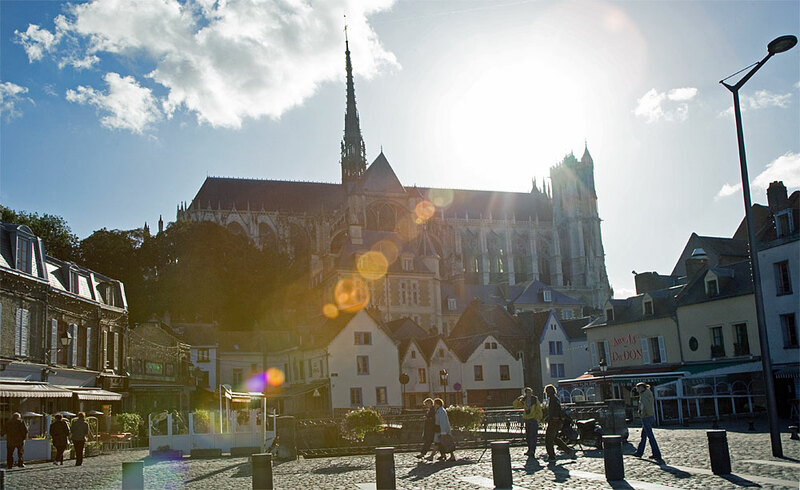 Amiens Cathedral, also known as `the Cathedral of Our Lady of Amiens` (French: Cathédrale Notre-Dame d'Amiens), stands in the city, which is the administrative capital of the Picardy region, on a low ridge overlooking the River Somme. 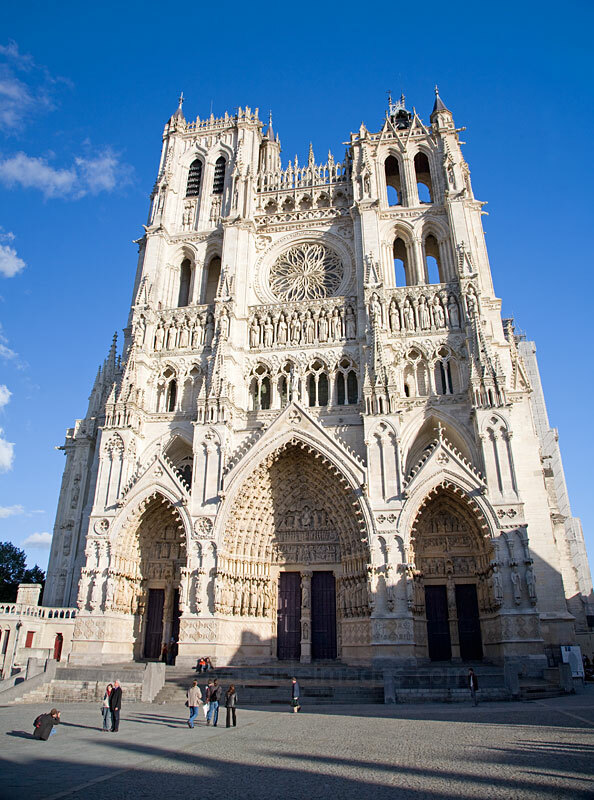 The structure, which was built between 1220 and c.1270, is the tallest complete cathedral in France with a stone-vaulted nave that reaches a height of 42.30 metres (138.8 ft). 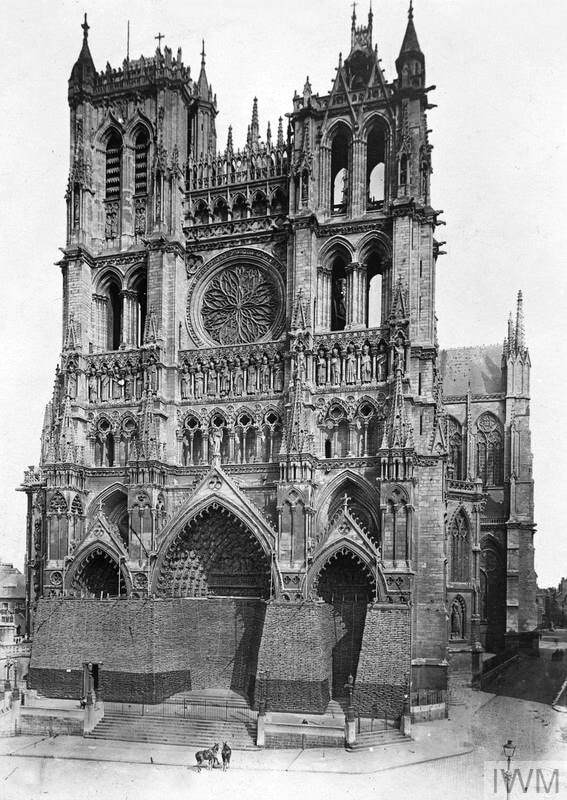 It also has the greatest interior volume of any French cathedral. 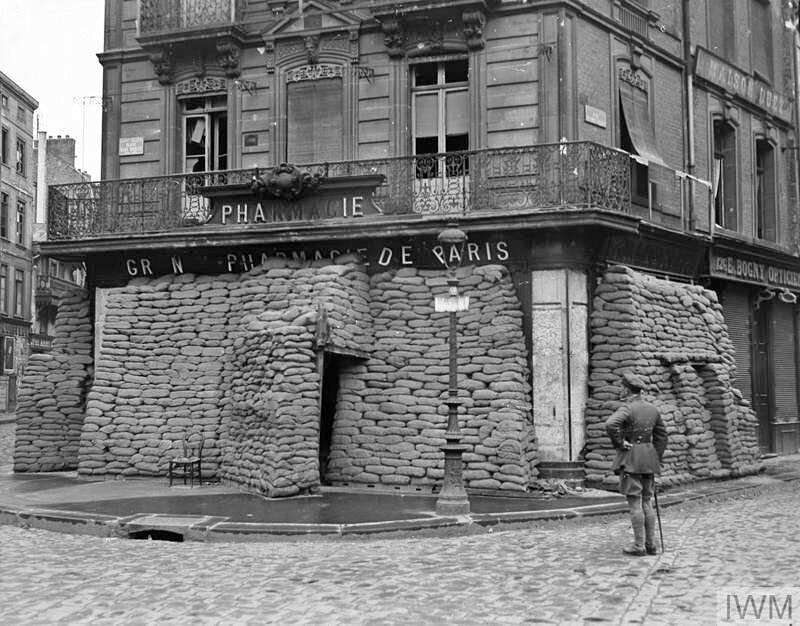 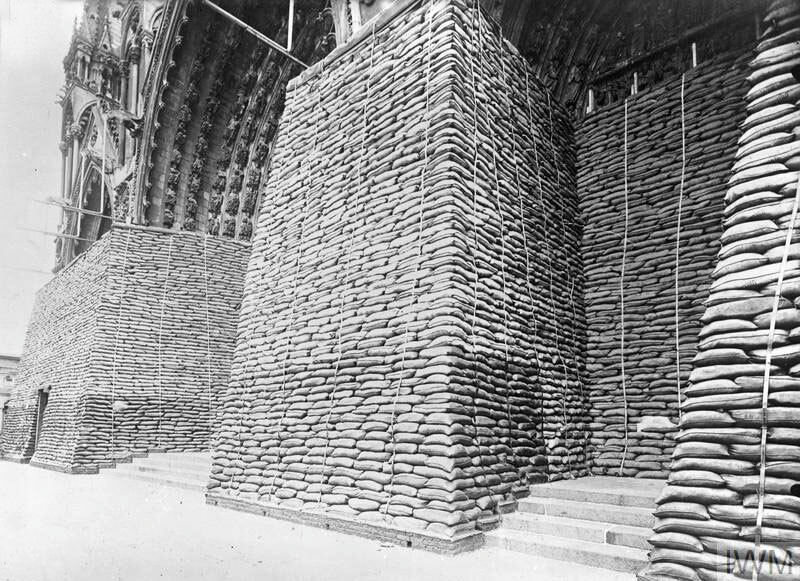 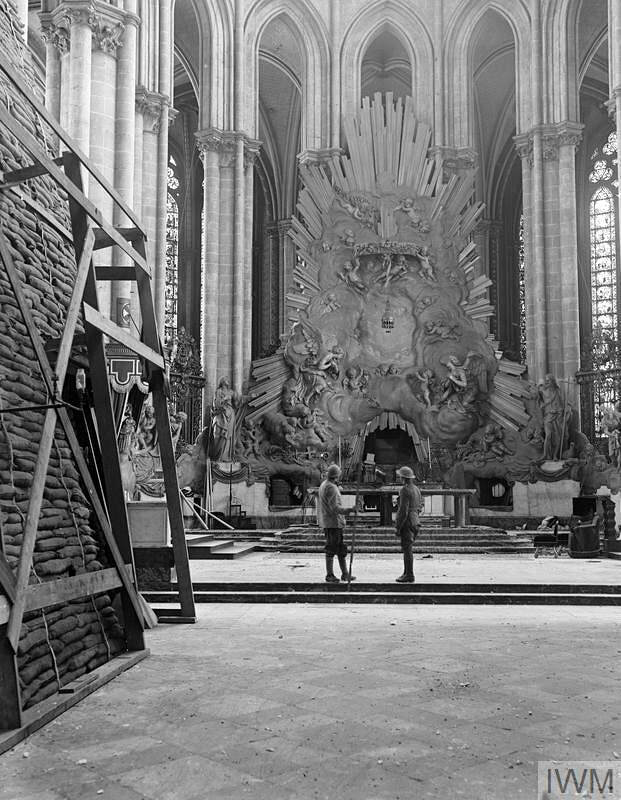 These shots show the piles of sandbags placed to protect the cathedral, inside and out, from German artillery fire. A close up of the main entrance is shown below. 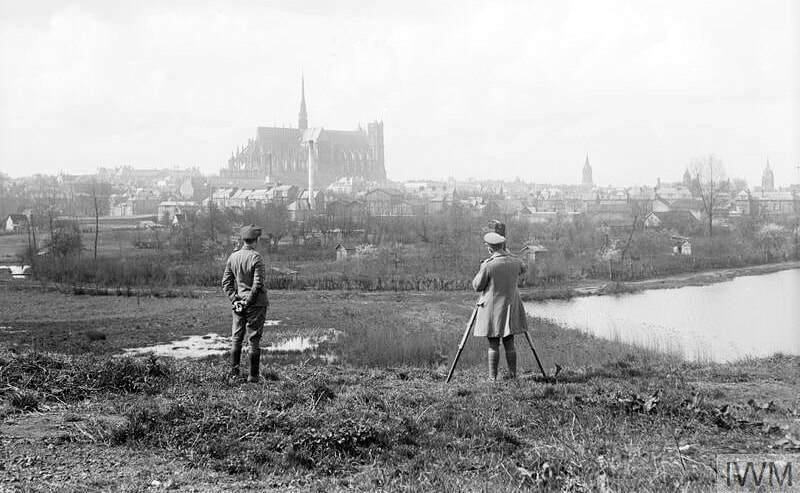 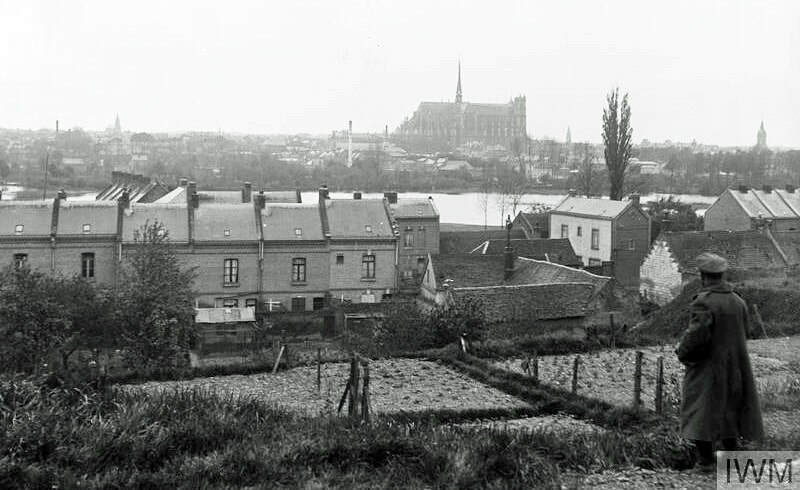 Amiens from across the Somme river, showing the cathedral from the north, 24 April 1918. 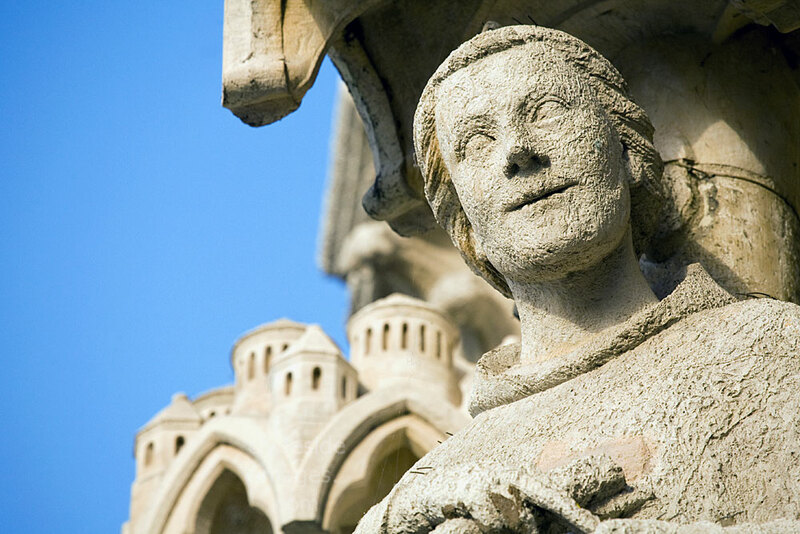 Numerous statues of kings, saints, gargoyles and other figures decorate the cathedral`s exterior. 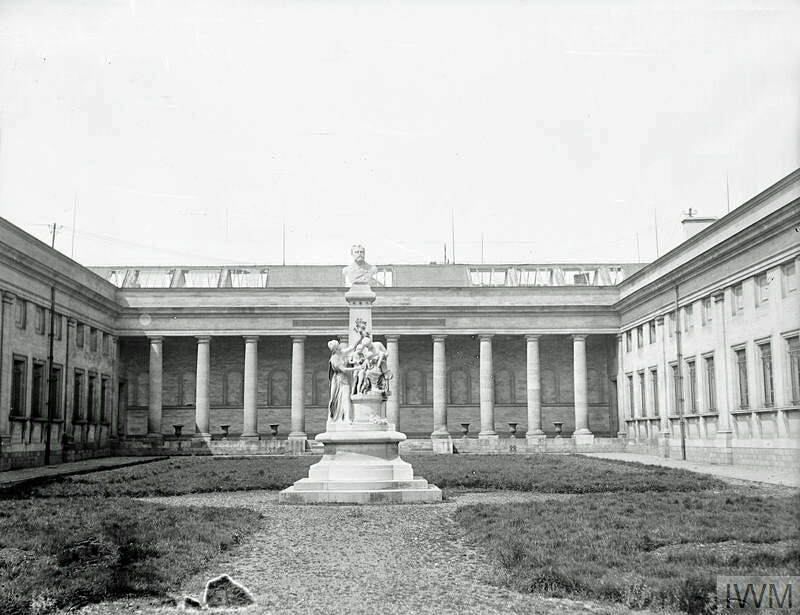 In the 1990s, during a project to laser clean the west facade, it was discovered that the sculptures and stonework were originally painted in multiple colours. 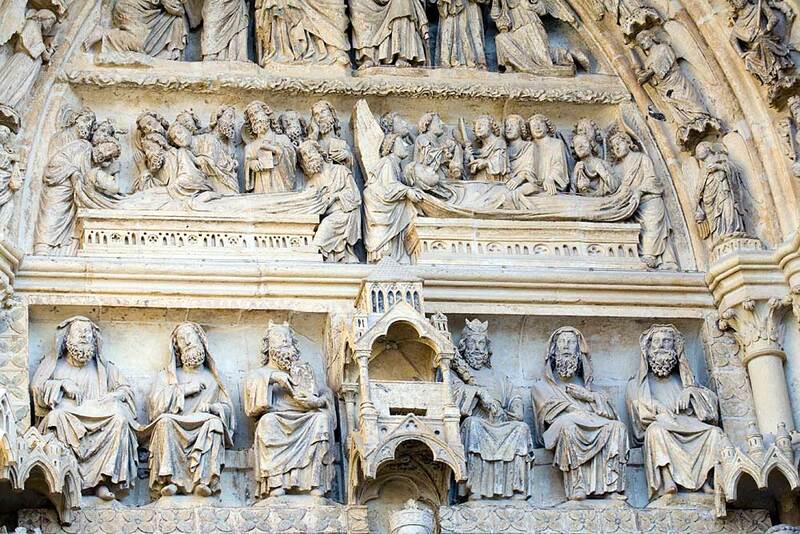 Left: This relief at the western entrance appears somewhat out of place beside the numerous sculptures of kings and religious figures. 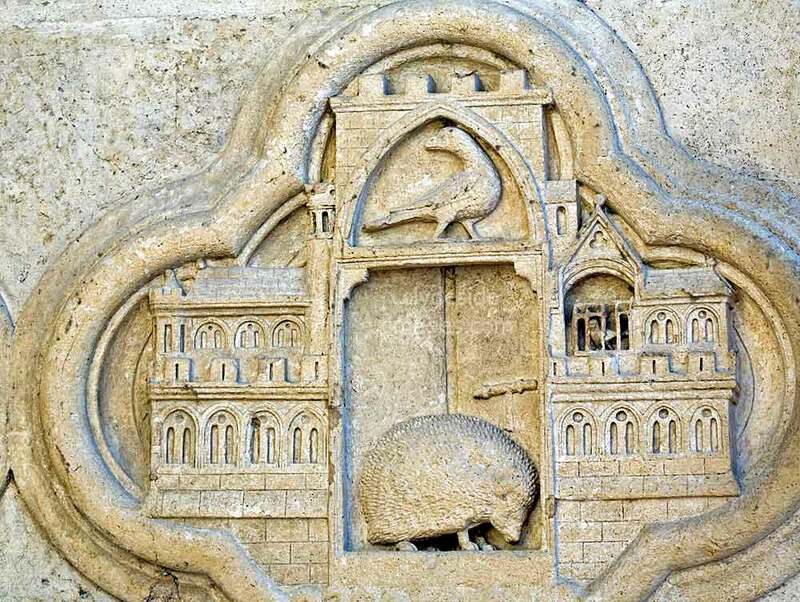 It apparently relates to a passage from the Old Testament which lists a hedgehog among the beasts that ransacked the ruined ancient Assyrian city of Nineveh, of Upper Mesopotamia, located on the outskirts of Mosul in modern-day northern Iraq.